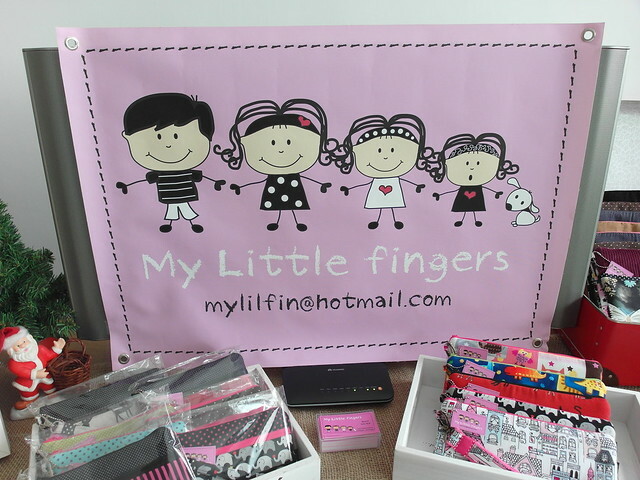 I received my first My Little Fingers pouch from Gugu Julie sometime ago and we cousins all loved it! It is made from the best fabric and brightest colors that stood out from any others! My Little Fingers is the brainchild of Sharel, my gugu's friend. 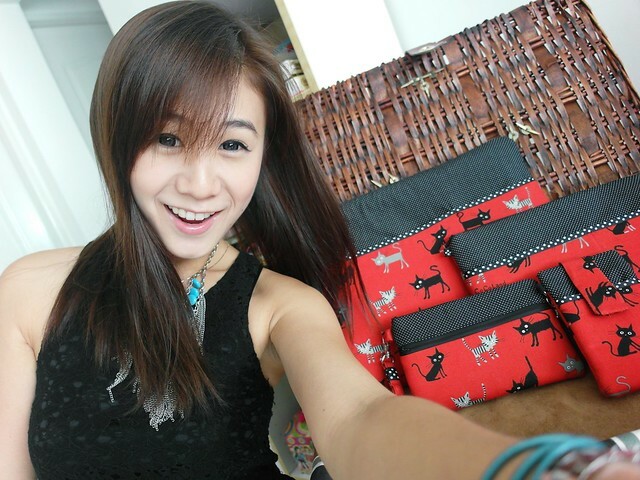 We were invited to her place to check out her whole range of handmade pouches and bags, and that got me very excited!! It's nearing Christmas so this could be a place where you can do some last minute shopping if you have been looking for something unique for your family and friends! Sorry I should have visited them sooner and shared about this place where you can get some quality and unique Christmas gifts! me holding a macaron laptop case!! The items featured here are just a handful of the available fabric! There are many more that I wished I could show you them all! 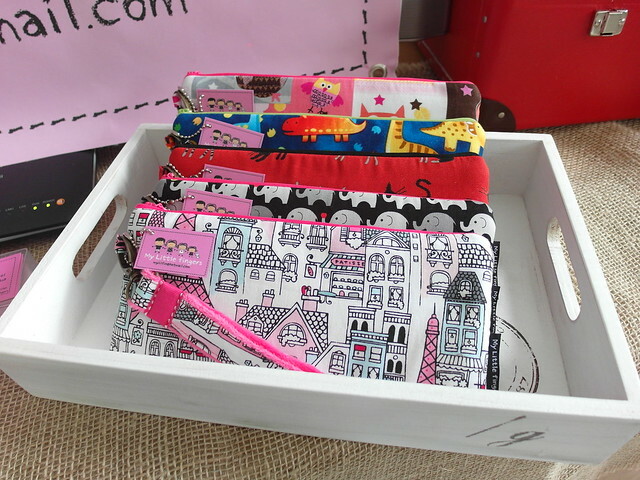 A whole set of cat designed pouches!! Pouches that could be used for almost anything!! Makeup, stationery!! Visiting My Little Fingers made me wish I was still studying and needed all those pens for school. 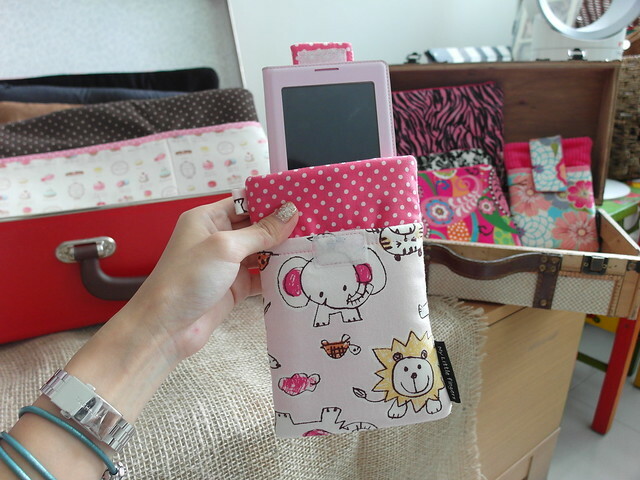 It would be the perfect excuse to get my hands on more of these pouches for school! Hung the beautiful hangphone pouch on my bag! teeehee! The bag I bagged home hahaha! A laptop bag which color would be suitable for school or work. The interior of the bags!!!!! I am in My Little Fingers heaven!! It's also my Gugu Julie's first time to Sharel's place. Gugu usually sees the items that she wants online and meet downstairs for the purchases. 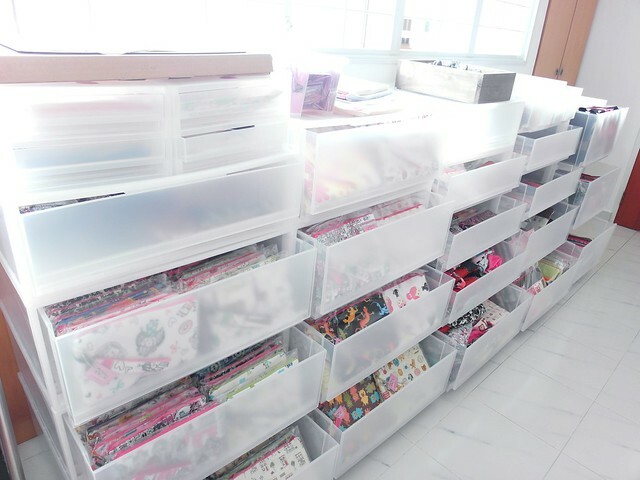 Drawers and drawers of handmade goodies. And there, my aunt shopping away. She spent a good 30 minutes looking through each drawer before deciding on a few for Christmas gifts. 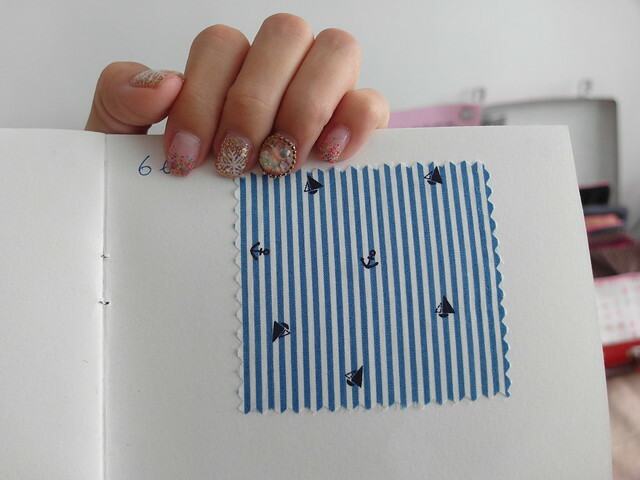 I love the F fabric!! 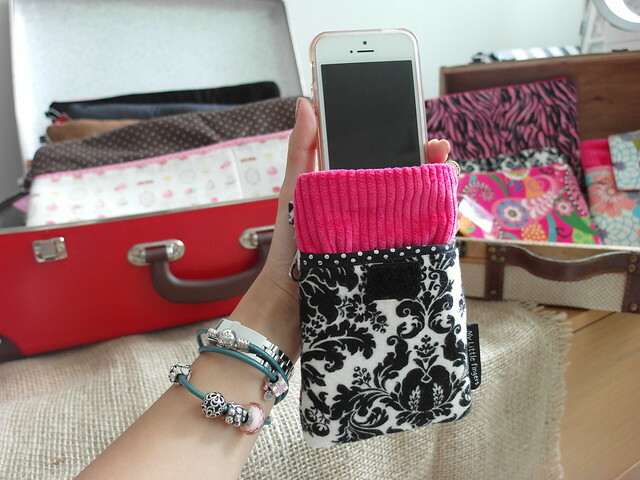 The pouches can also be customized based on your favorite fabric and inner! Say you do not like a hot pink interior, you could opt for a brown colored one instead? I have to share 1 important fact of My Little Fingers pouches, that is they can be machine-washed!! So no frets that it would get dirty and you have to spend more money changing it! !